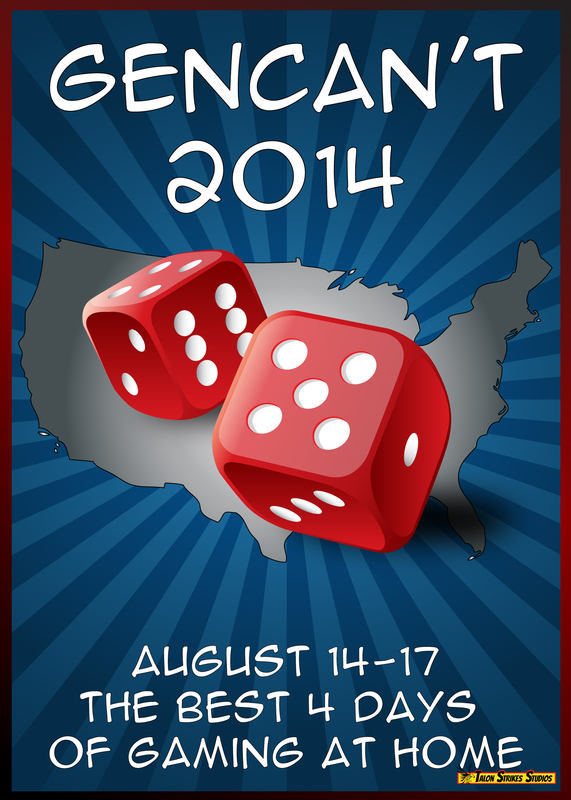 Home > 2014 > August > My GenCant Plans! I haven’t said a lot about it here on ye olde blogge before now, but I do have some really cool GenCant plans for this weekend. I hate that I wasn’t able to get off work and spend some time at the convention during the week, but tomorrow is going to be all about some awesome GenCant gaming! My accommodations for the event are pretty nice, even if they’re an inconvenient distance from the actual convention itself. But the bed is very comfortable, even if sleep is occasionally interrupted by small visitors that like to play a special LARP version of Tetris between me and my wife all night long (the most common culprit can be seen to the right). For breakfast, I’ll probably hit the self-serve Continental buffet in the nearby kitchen area. But then, finally, I’ll jump in the car and head over to the venue in the TomG Room. On the way, I plan to swing by the Dealer’s Area, though. GenCant isn’t always known for the quality of it’s exhibit hall, but I think that this year is going to be different for me. I’m going in looking to pick up the new Netrunner data pack and hopefully an expansion or two for Marvel Legendary, but I’ll also keep my eyes open for other cool new stuff and good deals on older games as well. Of course, I started my convention buying a little early this week as well in picking up both The Manhattan Project and Star Realms on my iPad, so hopefully I’ll fit in a little pre-con gaming in that venue sometime today. But then it’ll be off to the gaming area, where I’ve preregistered mostly for some really cool indie RPG events. My first game is actually the continuation of a session I started a few weeks ago with some friends. We were about halfway through a game of the Shab Al-Hiri Roach, which was just starting to get all good and evil, when we had to stop. So our session tomorrow will dive right into the deep end of all the dark and disturbing debauchery that the Roach is known for. We’ll probably grab something quick to eat on the convention floor (which, I know, isn’t always the best choice), but when you’re trying to squeeze 4 days of gaming into about 12 hours, sometimes you make concessions like that. 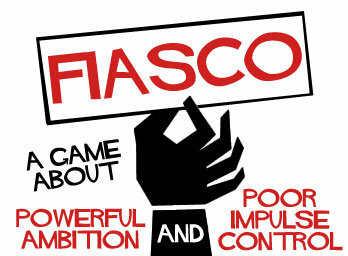 So anyway, the next thing I’ve preregistered for is a game of Fiasco. I don’t think the event organizer has chosen which playset we’ll use, but I’m sure it’ll be awesome. The other registrants are all pretty experienced with it, and Fiasco can usually be counted on to deliver a really solid (though usually PG-13 or R-rated) roleplaying experience. From there, the rest of the day will probably be spent in the open gaming area. We’re working on setting up a game of the new hotness, Dead of Winter, which I really hope makes. I’ll also have Firefly, Eldritch Horror, and a few other good “con games” along with me, as well as my Netrunner stuff (which I almost feel contractually obligated to always keep with me now that I’ve made the full investment in it), a few fillers, and the review copies of the Pack-O-Game games currently on Kickstarter. I’ll try to stay active on the Twitter through the convention, so follow me there or check out the #GenCant2014 hashtag to join me in all the fun I’ll be having at the Best 12 Hours of Gaming of GenCant!